There’s something exciting about January. It’s a new year. A blank slate right in front of you. You get to turn the page and start a new chapter, this time titled 2017, where a new story is just waiting to be written. This January, a woman named Evelyne is experiencing this blank slate in a whole new way. For her, nothing was nothing new or exciting until a few years ago when everything started to change. When Evelyne’s husband died, his family rejected her and sent her away, leaving her to care for their five children alone. Her new identity– an abandoned Burundian widow– robbed her of dignity and hope. Her days turned into constant affliction. Wondering if she would be able to feed her kids that day. Knowing she couldn’t afford medicine when someone got sick. Sleeping in the rain. To Evelyne, the future was bleak at best. Every chapter in her story seemed the same: poverty, hardship, pain, repeat. That is until Evelyne was connected to a sponsor through Sister Connection. 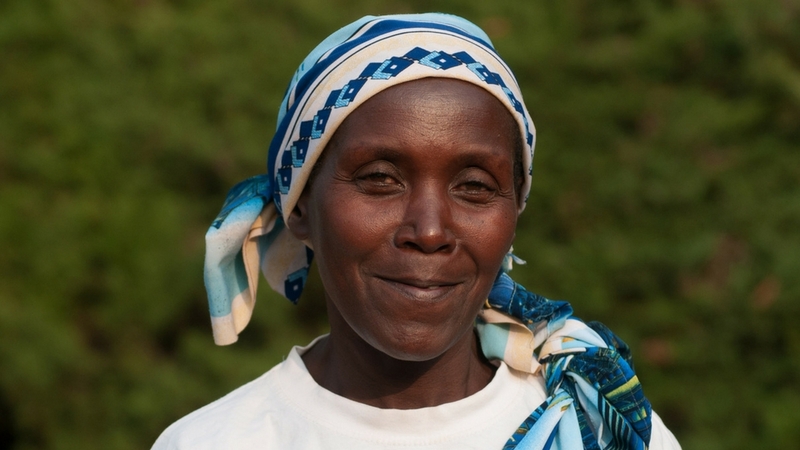 Her sponsors’ love and support helped restore healing and dignity to Evelyne. They wrote new, hope-filled pages into her life. Suddenly, she was able to eat and feed her children seven days a week. When they got sick, she took them to a doctor. She could even afford to send them to school. She started her own business. Two of her children got married, while the other three are still working hard in school. With the faithful support of her sponsors, Evelyne’s future started looking brighter. It wasn’t the same poverty and pain any more. Someone was helping her live a better story. And this January, Evelyn turned the last page in her story of sponsorship. She is now financially independent, able to support herself and her children on her own. She is one of eight widows who graduated from sponsorship this month. This is the second group of Sister Connection widows who have come to this milestone. The process to come off of sponsorship is a slow and careful one, with two years of transition and preparation. While this graduation is intimidating at first, these women courageously step out on their own. What beautiful evidence of the sustainable restoration that’s possible when you choose to invest in a Burundian widow! With some saved sponsorship support, Evelyne has plans to increase her capital in her business, and start growing crops. For her, 2017 is the beginning of possibly the greatest chapter yet- all because someone like you stepped into the middle of her story and turned her despair to hope. It’s not hard to help someone like Evelyne live a better story. And who knows, maybe when you do, it’s your own chapters that will change.